We invite you to enjoy an enriching experience of visiting historic and traditional places where Jewish life takes place in Chile. Through this tour travelers can learn how community life was born and developed in Chile. * The Jewish Fire Station "Bomba Israel", the only one Worldwide with Jewish volunteers, founded in 1954. * The Isarelit Maccabi Stadium - Community Center. * The Hebrew Institute (from outside). ** Admission to the institutions is subject to approval by members of security. If not is able to enter, we will show the site from outside to learn about the history, with the possibility of replacing the visit with another place. Monday to Sunday morning or afternoon. On Saturday you can not enter the synagogue during the tour. ** The price not includes donations in Jewish sites. Please calculate an approximate of USD$50.- per passenger. Jewish Tour + City Tour in Santiago, visiting highlights tourist attractions in the city. Included: Specialized guides, English-Spanish speaking guides. Air-conditioned transportation. We manage the entrance for all sites indicated. Pick up and drop off from the hotel. Not included: Meals and Tzedakah in Jewish sites. 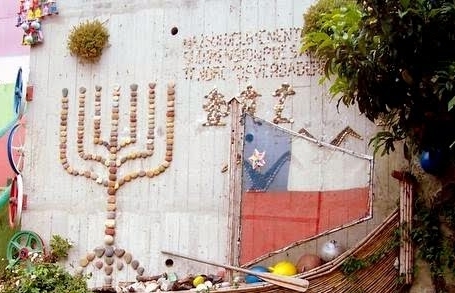 Get immersed in the beautiful experience of visiting the places where was born and happen the history and Jewish life in Chile. * Soto Mayor Square, Prat Pier and central area. * The Sephardic Synagogue "Max Nordau," founded in 1916, with the oldest Sefer Torah of Chile, with over 100 years old, which is still preserved in good condition. * The Fireman station "Bomba Israel of Valparaiso". * Max Nordau Community Mausoleum - Monument sister city of Valparaiso "Bat-Iam"